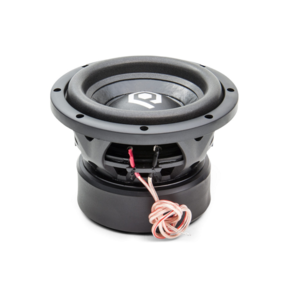 This is your cost efficient 8" woofer designed with excellent reliability and performance. This woofer is a rated at 600W RMS and a perfect match for the 600W sub-out of LH's Class-D amplifier. It features a cast frame, a 2.5" copper coil, direct leads to keep from tinsel slap and easy mounting and back plate venting to cool it in the tightest situations. 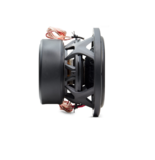 The high efficiency starts with a strong 2.5" voice coil with high temperature adhesives and coil wire ensure long term reliable performance that is unheard of at these price points. The double magnet motor is over-sized to provide high output levels with precision and control. The plates are coated with corrosion resistant epoxy paint which also increases the outflow of heat from the voice coil.